The red versions are difficult to find in stock from any supplier. Can you confirm you have this in RED ready to dispatch straight away? If it is showing as in stock on our website then we definitely have sock here ready to ship. 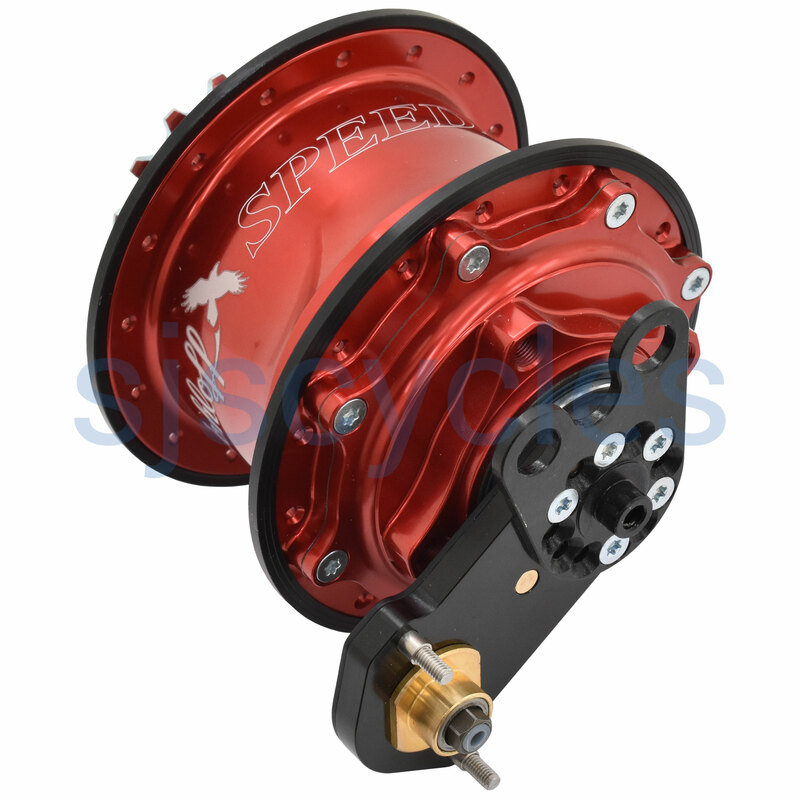 Hi, May I know this Speedhub got TS/Threaded Axle version(Red colour)? Use M10 Bolts. This particular hub is the quick release version and not the nutted one, we don't currently have the nutted version but we should be able to special order one for you. Please email sales@sjscycles.com for more information regarding lead time and prices on this. This hub comes as a full set with all of the parts required for fitting. From those parts you have listed the bayonet connectors are not included though as they are used on the internal cable version not this version with the external cable box. Can You Tell Me Which Frames This Hub Will Fit? How Wide Is The Hub And Which Frames Are Suitable? The hub has an over lock nut or drop out spacing width of 135mm, it is designed to fit to non-Rohloff specific frames that have vertical dropouts and disc brakes. what size of sprocket is included in this set? A 16T sprocket is supplied with this hub.